Best Christmas Destinations for Families in the U.S.A. I love to snuggle with a good book by the fireplace from Thanksgiving through the Christmas holidays, but after a few days at home, we get a little stir crazy during weekends and school breaks. When it is time to get out of the house, I choose holiday-themed destinations I know my kids will love. Whether you enjoy activities close to home or travel across the country, here are some of the best Christmas destinations for families in the U.S.A. 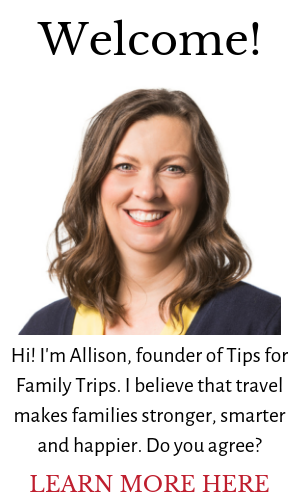 These links are tried and tested reviews from other family travel bloggers who can give you the best tips to make the most of your holiday plans. I’m partial to Washington D.C. for the holidays since it is home for me. I love taking my kids to see the White House Christmas tree or the National Christmas tree in front of the U.S. Capitol. My son’s favorite tradition is visiting the model train display at the U.S. Botanical Garden. Thinking of visiting Hersheypark over the holidays? Besides great amusement park rides and beautiful light displays, check out these great tips about Christmas in Hershey: The Sweet Life. The Christmas tree isn’t the only thing lit up in Greater Williamsburg this holiday season. There are fireworks, wineries, illuminations, zip lines, outlet malls and farm/river- and vineyard-to-table cuisine. The entire destination is a discovery of family-friendly, modern offerings for people of all ages to enjoy. Discover www.visitwilliamsburg.com for lots more information. Kids who love amusements parks will love Busch Gardens Christmas Town in Williamsburg. Add a little history to your holidays by visiting Colonial Williamsburg, which will be all decked out for the holidays. Take a ferry to Nantucket and watch Santa Claus arrive via Coast Guard for a festive New England holiday celebration. Details about how to enjoy Family Time at the Annual Nantucket Stroll Weekend. Many places around the country offer a Polar Express train or similar experience, and this one in Connecticut is very popular. Check out the Essex Steam Train’s North Pole Express and decide if this is the year your kids will be enchanted by the magic of visiting the North Pole. Each year, guests and visitors are invited to celebrate the holiday season at The Omni Grove Park Inn in Asheville, N.C., surrounded by 80 themed Christmas trees, thousands of twinkling lights, roaring fireplaces and the sweet smell of gingerbread from the annual National Gingerbread House Competition — the largest of its kind in the country! A visit to the Biltmore Mansion should be part of your Asheville holiday experience. If you are spending Christmas in the Great Smoky Mountains of Tennessee, an evening at Shadrack’s Christmas Wonderland should be part of your holiday. This light show set to music will make festive memories, and kids will love the bounce houses and refreshment stands at the end. This delighful post is a small-town exploration of Christmas in the Southeast: Celebrating Through Georgia and the Carolinas. Learn about local festivals, boiled peanuts, and a Christmas tree made of Coke bottles. I’m partial to Christmas in Chicago because I lived there for a few years and fell in love with the 10 Best Holiday Events in Chicago. My personal favorite, which I got to revisit last year, was the Christmas trees from around the world display at the Museum of Science and Industry. There are plenty of Winter Activities for Families in Chicago, plus you can drive by the “Home Alone” house if you love those classic holiday movies. Visit Santa Claus, Indiana to see the Santa Claus Museum and learn about how 12,000 letters to Santa get answered each year. Enjoy a small town dedicated to celebrating Santa during the holidays. It may not have snow on the ground, but Christmas in Grapevine, Texas is still a Texas-sized event. Be sure to see the ICE! exhibit at the Gaylord Texan. If you happen to be there in early December, one of my favorite Christmas memories was the year we made it to Journey to Bethlehem, a live nativity in Grapevine. Salt Lake City is one of the premier destinations for beautiful Christmas light displays. Check out the Temple Square Christmas Lights for millions of Christmas lights and an entire city block downtown dedicated to celebrating the birth of Christ. Disneyland Resort can be magical for the holidays, so long as you anticipate the crowds. We have a list of special holiday events in How to Celebrate the Holidays at Disneyland. Check out these tips from our friend Marty on when to go and how to enjoy The Magic of Christmas at Disneyland. If you are looking for a more temperate way to celebrate the holidays, California might be just what you are looking for. A Fresno native shares her love for Zoo Lights at the Fresno Chaffee Zoo and Christmas Tree Lane, Fresno, CA. One of my favorite December vacations was to sunny San Diego. I fell in love with 60-degree days and strolling along the oceanfront instead of shivering in the snow. Enjoy beautiful Balboa Park all decorated for Christmas at the December Nights Festival in San Diego. Seattle embraces the holiday fun with a festival of trees, lights displays, gingerbread villages, and other festive events. Even better, many of these events are free. Did I miss your favorite Christmas destination? Let us know in the comments! Are your kids worried about Santa finding you as you travel over the holidays? Check out Reroute Santa, which is a cute website you can use with your kids to make sure Santa knows where to find you, no matter where you are vacationing over the holidays. I absolutely agree with NYC for the holidays. I love how the entire city is dressed up in lights. So festive! I have still not taken my kids to NYC but I would love to take them for Christmas. Like London (my hometown in the UK! ), it seems to be one of those cities that just goes to town for the holidays with lights and window displays and all. One day! I’ve lived in Chicago my entire life and, I’m ashamed to admit, I’ve never been to the Christmas trees around the world exhibit at Museum of Science and Industry. Will this be the year I make it?? Also, I’d love to see Nantucket all dressed up for the holidays! I love your suggestions, although I’ve only ever been in the US once for Christmas and that was in Chicago. I absolutely loved it. What a beautiful city. I’d love to go back, but I’d also love to experience the Christmas spirit in so many of the other places, especially Williamsburg, where I have wanted to go for years. We just happened to be at the Museum of Science and Industry 2 weeks ago when they were putting up the trees. It was fantastic! So glad you were able to enjoy it! That’s still my all-time favorite museum.